JOY is in the Making…and GIVING! It’s Christmastime and it is definitely a season that brings me JOY! I love the spirit of generosity that is so prevalent this time of year. I have an especially soft spot for the bell ringers that stand by the Salvation Army buckets. The sound of those bells ringing brings me joy and fond memories of my dad. He volunteered as a bell ringer for a number of years, and since his passing I make it a point to never go by a red bucket without dropping something in. I know there are so many folks less fortunate than I. I’m blessed to have a job that pays me to do during the day what I love to do in my free time, too—all things QUILTING! One of the greatest JOYS in my job over the past four years has been leading the American Patchwork & Quilting One Million Pillowcase Challenge. We asked quilters to show how much they care by making and donating pillowcases to local charities of their choice and to record their donation on our website at AllPeopleQuilt.com/millionpillowcases. 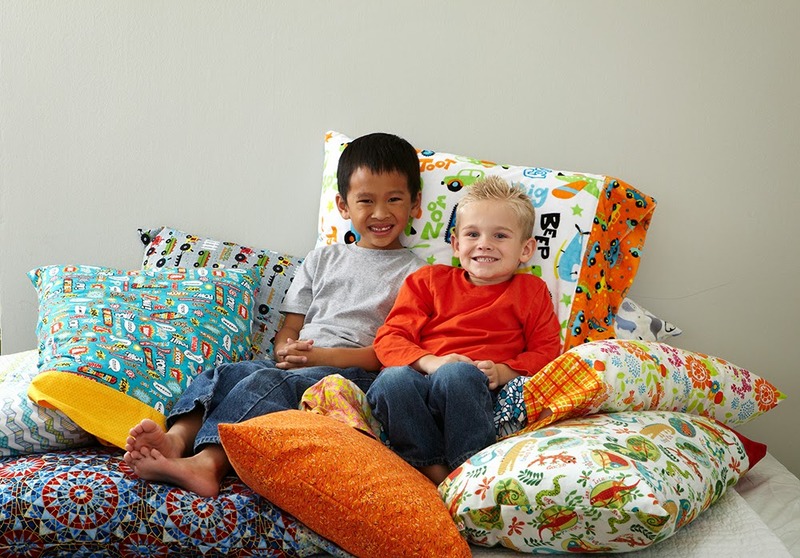 To date, more than 527,000 pillowcases have been made and donated. That’s amazing! I know quilters are generous by nature, but the stories you’ve shared with us about how and where you’ve donated pillowcases are inspiring and they fill my heart with joy. Whether it’s a guild in Nebraska making pillowcases for foster children to carry their belongings in so they don’t have to use a trash bag, or a shop in New Hampshire making pillowcases for their National Guard troops stationed overseas, or a Brownie troop sending pillowcases to an Oklahoma community ravaged by a tornado—the generosity is heart-warming. And the difference it makes is significant. Last fall, more than 200 volunteers from Rebuilding Together Greater Des Moines and Meredith Corporation (our parent company) devoted a day to make significant improvements to a local neighborhood and changed the lives of six homeowners. 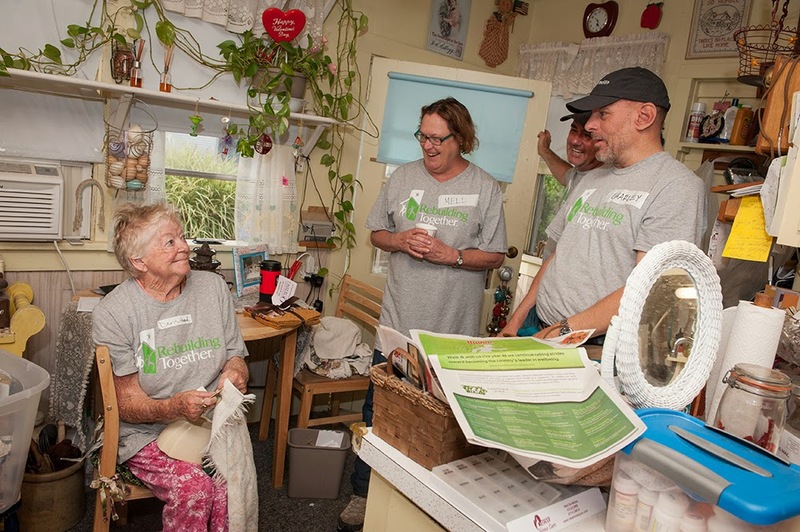 To kickoff the day, the American Patchwork & Quilting team gave each homeowner three matching pairs of pillowcases. Though many donations are single cases, we though matching pairs would help make each house feel more like home. I can honestly say, having the chance to visit with the homeowners as they looked over the pairs and chose their favorite fabrics made me wish I could donate so much more. There were tears of gratitude and hearts filled with appreciation for this simple act of kindness. It was incredibly moving. How many of us can have our choice of clean pillowcases from a closet full of them when we go home tonight? But for how many more people is that simple blessing not a reality? 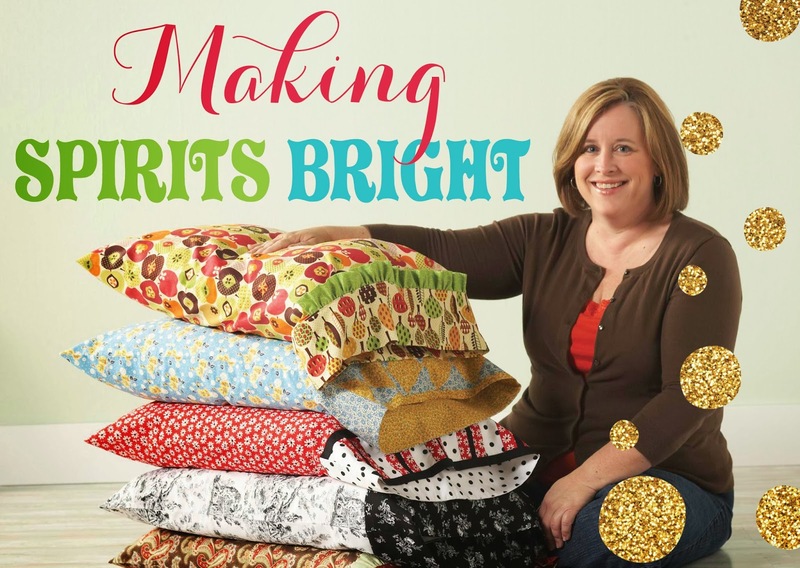 I hope you’ll spread some joy this holiday season by making a pillowcase (or a matching pair in your favorite fabrics!) and making a difference for someone in your community. 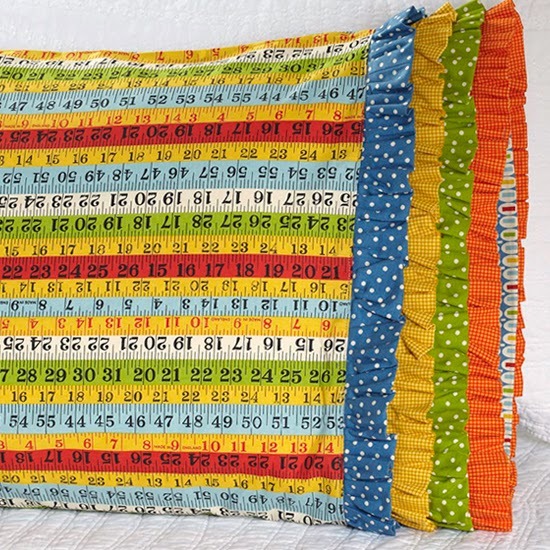 There are plenty of FREE patterns to choose from at such as the pillowcase below using fabric from the Pot Luck collection by American Jane for Moda Fabrics. There is no better JOY than that which comes from making and GIVING to others in need. I promise, you’ll always get more than you give when you’re donating from the heart! By Guest BloggerIn Uncategorized4 Comments on JOY is in the Making…and GIVING! I participated in the pillowcase drive at my LQS along with 2 other quilting buddies. We loved doing it. The quilt guild I belong to is currently making 1000 14″ pillows for a local cancer center. Very enjoyable to give. My daughter is doing her Girl Scout Gold Award, and part of her project is making 200+ pillowcases to donate to the Million Pillowcase challenge. Moda was extremely generous when asked for a donation … they send FOUR BOLTS of fabric. Talk about generosity! Your post was so inspiring, my daughter just linked it to her Gold Award blog. Thank you, thank you, thank you. I’m on a limited income because of a lifetime disability but decided to forgo my every other week pizza and spent the money on fabric for pillowcases for ConKerr. I had more fun picking out the fabric and making them. I only managed to make 80 before I ran out of fabric but that’s 80 smiles.